For areas affected by hurricanes and/or tropical storms on a yearly basis, having structures that can withstand their immense wind speed is vital in order for the building to last over time. However, this can be a difficult problem to solve overall. In areas prone to high wind speeds and hurricanes, extra steps must be taken in order to have a structure that will endure them. Most structures will require a lot of reinforcing and a lot of extra designing in order to handle such harsh winds. Most buildings built in the Florida area, for instance, must be built to a specific building code that requires the building to satisfy a certain wind load rating (depending on what part of Florida that structure is being built. 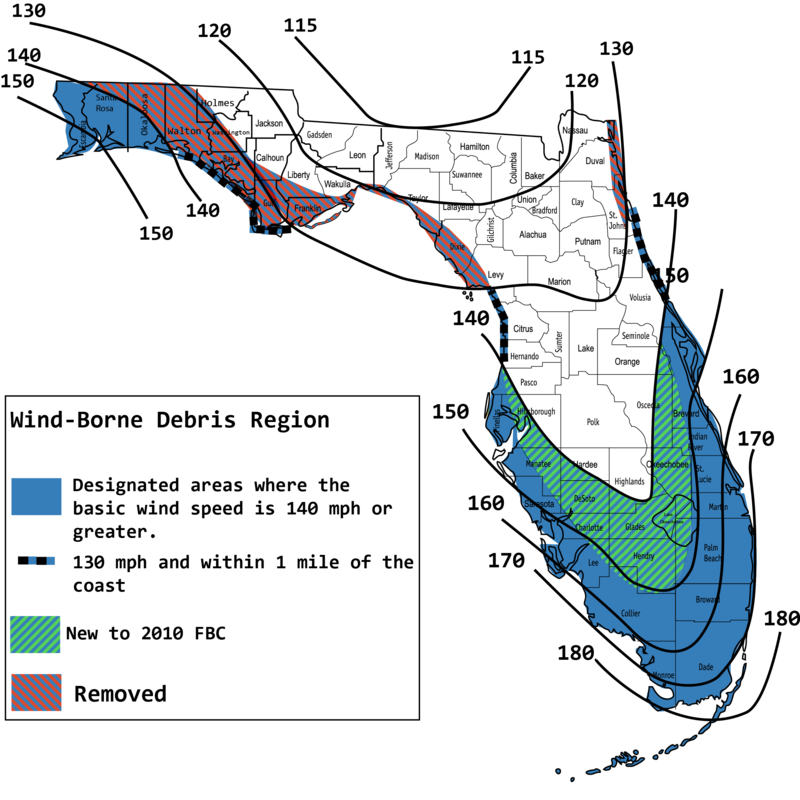 For this reason, the state of Florida specifically developed the “Florida Building Code” or FBC. The FBC is a set of standards, regulations, and guidelines that are established as benchmarks in regards to the protection and preservation of buildings against hurricanes. The FBC is not important just in Florida however. Many states reference the Florida Building Codes due to their effective building requirements or have similar regulations based off of FBC. According to the FBC, buildings must meet the wind load rating of the must attain an ultimate wind speed rating according to the chart shown here. 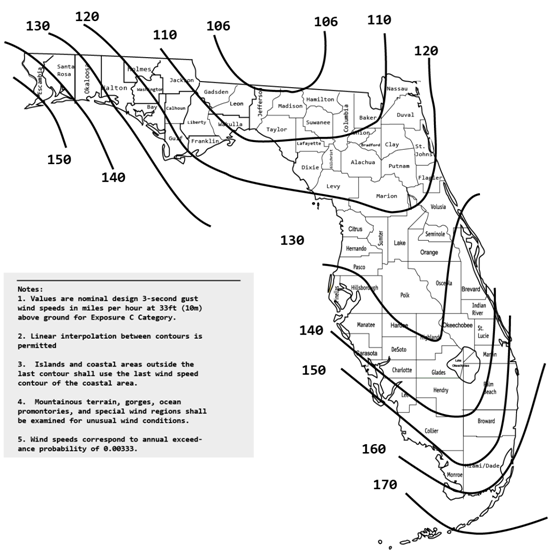 For the most extreme areas (southern tip of the mainland and the Florida Keys), will be the only areas that will require an ultimate wind load rating of 180 miles per hour. Ultimate wind load rating is similar to maximum wind load rating. Wind speeds this high can be handled, but are not advised for a prolonged period of time. Panel Built’s guard houses come with a standard wind load rating of 90 miles per hour. However, for a large portion of the southeastern United States, there are requirements for much higher hind loads. Panel Built’s guard houses can be altered to account for this. For 110 mph ratings, 2 steel channels are needed per panel. As a general rule, one extra steel channel added to our guard booths add roughly 10 mph to the building’s wind load. 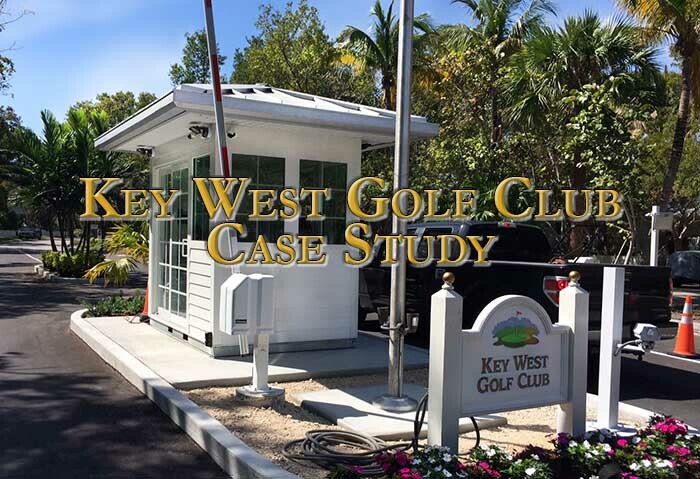 To reach top levels for the most extreme wind loads, we have a welded steel line of guard booths that can satisfy even the strictest standards. For our welded steel guard houses, we increase the overall thickness of the walls to increase the wind load rating. Modular Construction: Can It Help? In the past, modular construction has been touted for its ability to stand up against the high winds and rain of hurricanes. After Hurricane Andrew, a FEMA review of the destruction showed structures built using modular construction faired much better against the storm than their stick-built counterparts. One of the main attributing factors to this praise is the consistent quality that the modular constructed houses showed. Being manufactured in a controlled factory setting, these structures are put together by workers piece by piece, only focusing on the stage of construction that they specialize in. There are no outside factors that go unaccounted for and the structure moves through the manufacturing process like it is on an assembly line. What does this create in a modular structure? This type of manufacturing and assembly creates a consistently, structurally sound building with a quality design. 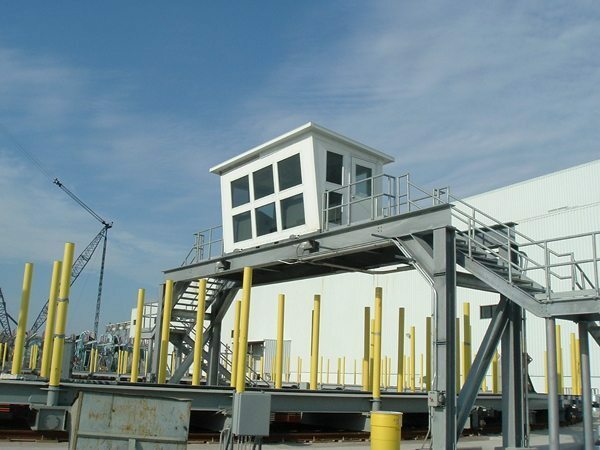 As an example of this, a company based in Panama City that needed two operator control cabins to house sensitive equipment. However, they also needed it to be elevated, and able to withstand high winds in the middle of “Hurricane Alley.” For these buildings, they needed to be able to look out over the Gulf of Mexico without blinding them and being able to withstand hurricane force winds up to 130 mph. Panel Built delivered 7×15 exterior buildings (2) with slanted viewing wall on a forkliftable steel base with diamond plate decking and small missile impact resistant windows. For more info on Panel Built guard booth wind loads, call us at (800)-636-3873 or send us an email at info@panelbuilt.com.